Starting in June 2016, Microsoft announced that they are ending support of Skype for TV apps and there will be no updates to the application. It will impact new account creation and password resets and only available over Skype.com. Microsoft has also announced that TV manufacturers may remove the Skype for TV application from some or all of their models. “Since 2010, Skype has delivered a great calling experience in the living room in partnership with several TV manufacturers,” the post on the Support page reads. Some TV manufacturers such as from Samsung, Sony, Panasonic, LG, Toshiba, Philips, Sharp and others may remove the app from some or all of their models. But the user may be able to continue to use it, if they don’t remove the app for a while at least. Even though many Skype for TV users seems to be unhappy with Microsoft’s decision to discontinue Skype for TV support, but some of the quite happy and hoping that they will increase their efforts to focus on improving Skype on mobile devices. Why are these changes being made to Skype for TV? Since 2010, Skype has delivered a great calling experience in the living room in partnership with several TV manufacturers. But over the years, users have changed the way they use Skype, with the majority accessing it from a mobile device – including when in the living room. We want to make sure we prioritize delivering the best possible experience to the platforms our users are asking for, which is why we’ve decided to focus our efforts in other areas while supporting key functionality on Skype for TV for as long as possible. 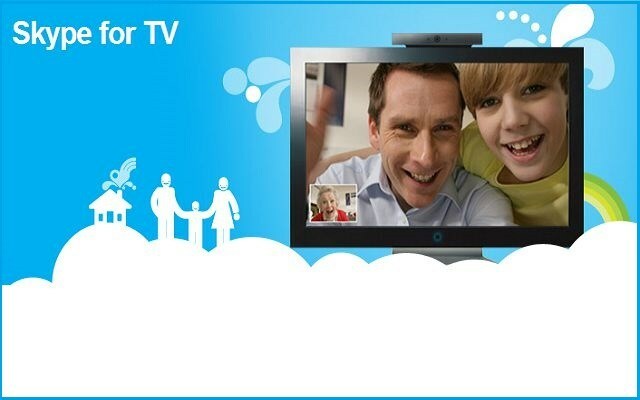 After 1st June, Skype’s smart TV app will no longer to receive updates, but some user can continue to use it who have already downloaded it. There’s no confirmed date for when the app will stop to work.